In this modern Mediterranean estate in North Atlanta, classical design principles and contemporary lifestyles resonate together. The home’s owners wished to convey the timeless quality of a hilltop villa, while reflecting the home’s time and setting. 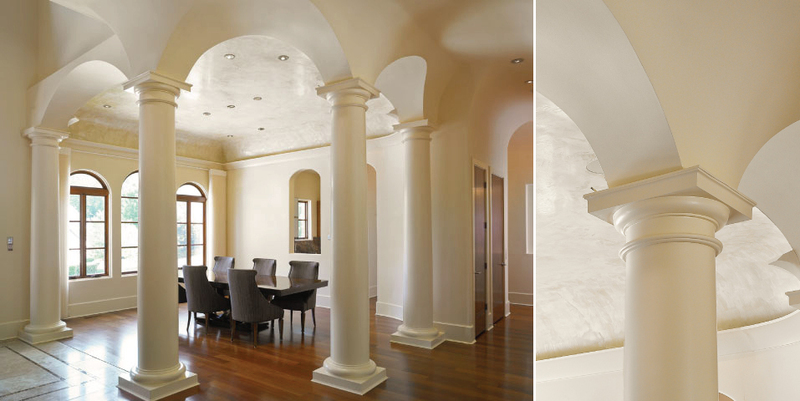 Our team studied the architectural elements and historic details of this Old-World style. Then we created contemporary interpretations of these classical concepts, using clean flowing lines and simplified, evocative details. Double-splayed arched colonnades, free-floating open hearth, modern cooktop chimney, lighted balustrades, coved fresco ceilings, glass staircase and sleek European stucco all work to achieve this dynamic response. Our sustainable design practices included using solar orientation, natural day lighting and underground, rainwater collection cisterns to conserve energy and resources.